"Ras starts from birth. If you light a fire and put it under the bed it's going to burn the house down"
At what point did you decide to go solo and do your own album? It's been a fire that's been burning through all those years touring behind Sugar, Gregory Isaacs and all those people. 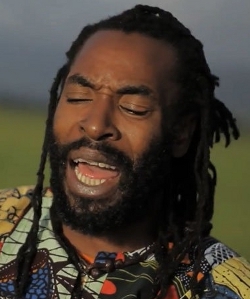 I was singing in Mystic Revelation Of Rastafari. I used to be the lead chanter for many tours so I know what it feels like to do it. It's a fire that was burning so hot and so deep but I know and I always knew that I was going to be the main man some day. I just wanted to sing my songs. I was writing songs for so long before I started singing them that it's like I get old with my songs. I don't even want to sing some songs anymore because when I sing it and somebody hears it they're like "Whoa, is that new?" and I'm like "No man, it's 13 years old!" (laughs) So I know it's something I have to do from in the gut long time ago. But at what stage did you decide to make this happen? Well after touring for a long time I got sick and I was in the emergency room for a minute with stomach problems and stuff like that so I just decided "You know what? Enough is enough. If I'm going to get sick from doing this I want to be doing my music". It was about three years ago. Now as well as the French musicians you have a lot of top Jamaican musicians playing on your album like Dean Fraser. Was this through all the links you made as a musician? Yeah. Dean Fraser is like my elder. Nambo is not on the album but he should be because we toured so much together in Europe. Dean is my brethren and I really appreciate him coming in and finding a minute to play something on it for real. I have Computer Paul who did music for Akon, Jimmy Cliff, Shabba Ranks and things like that. I have Bongo Herman. I have Delroy Pottinger as the engineer, who mixed for Sly & Robbie and all them cats a lot. I have Horsemouth Wallace playing one track, the killer drummer man! I even have Sly playing the big drum, I have Sticky playing percussion, I have Count Ossie Junior from when we toured together with Mystic. I have Remi Kabaka on percussion. To have a wide range of musicians, I hope I don't miss any of them out! That's a very impressive ensemble of musicians for a first album. So would you say all that touring was worth it to get links with all these people? It was man, it was! I don't have one minute of regret. I got sick but it was because of me not taking 100% good care of myself, not just touring. You can let yourself go and you can hold it together you know? It's what you choose. Dean plays on your re-do of Tony Tuff's great Deliver Me From My Enemies. How did you decide to revisit that great song? It wasn't a re-do! You're the second person who has said that! I wasn't even thinking about Tony Tuff's song until after my song was done! Even though I toured with Tony Tuff and Sugar Minott and played Deliver Me for him. I seriously wasn't thinking about that song in the recording. If you check it's totally different except that we say "Deliver me" twice. I was just listening to Tony Tuff and my song in my car and I was like "Wow the chorus" you know? If I have to give him to credit for saying "Deliver me, deliver me", sure, no problem! I wasn't thinking about it - not the vaguest thought in my mind! Tell me a bit about the song Braveheart, is that based on a true story or is it drawn from many experiences? It is a true story. It's about a friend of mine. We went to school together, we were in the same class and we grew up together. Originally his name was Garfield Smith. He was a cold cat, he was really, really serious. Whatever you wanted that guy would get it for you. He's not afraid of anybody, he's tough in front of the cops or the prime minister, he's just like that. After school, when we left Prickly Pole, he left to live with his dad in Spanish Town. Spanish Town is a tough community, so people have a lot to see, some people pick up the gun, some people start to rob, do whatever to survive. Garfield got caught in that bubble and he got killed by the cops. I can't say that he had a bad upbringing that made him have to choose that lifestyle, it's just someone who really just wants to be bad. There are two roads before you; you can choose one and I think he chose the road for destruction. As a good friend, seriously, that's what happened to him. I don't think the world really learned how to dance the original reggae, so we need to play it some more for them! There seems to be a lot of talk in the media at the moment about trying to dismantle the political garrisons. I wondered whether you had any thoughts on that. I have a lot of views on that. I'm from Jamaica where it's rough. We see a lot of innocent people get killed by the police. I saw one of my good friends get shot right in front of my house by the police. So many things. You want to be on the right side and you want to support the law but when the police come and kill somebody innocent, if it somebody who's not close to you but when it's your brother or your son you're going to really start to think and you might do something. Jamaica is a place that is hard right now for people to stay on top of the right thing because the situation is so crazy over there man, I'm telling you. So Braveheart is not just going out for Garfield, it's going out for a lot of youths who want to choose that road. I'm trying to tell you "Don't take that road because it leads to destruction". How did you come to be based in the United States? Well, I was touring with Everton Blender for a while. I have a three year work permit so I was working here. Before that I was married in Jamaica to my wife Kristi, who is from the United States but I didn't want to come to the United States because I was touring so much in Europe and I just love it over that side. After touring with Everton Blender for a while and with Sugar Minott, I was with this band called the Yellow Wall Dub Squad touring with the Abyssinians, Mighty Diamonds, Sister Carol, Frankie Paul, Junior Reid. When that work permit was about to be done, I had kids with my wife and I was caught between two worlds. I didn't know what to do, whether to go back or to take care of my situation here. I was just about on the way out when more people get involved and say "Hey, maybe you should just do your papers because you're already married and it's easier for you to travel and stuff like that". So yeah, I'm here and it's good because I was in Jamaica all my life and it was hard for me to do my CD. I couldn't really get it done with all the backing band scene around me, somebody would always call me and then I'm gone. So here, just taking the kids to school, I've found myself with a lot of time to think, work on my music, go to different studios, call different musicians to play. It took me seven years or more to make this CD. I hope the next one won't take so long! Having taken seven years to make it, were you surprised by the extremely positive reaction it's had, entering the single and album charts in Jamaica? How do you feel about it all? I feel really good about it. It wasn't a surprise because I have a little thing deep down inside me, maybe it's a little needle or something, that tells me when I have a good song. When I'm playing it or singing it in the studio and I listen to it, I can tell and hear "Yeah, that one was good". Then somebody else tells me "Yeah man, I love that song". It's like I know from deep within that I have good music. With what's going on in Jamaica right now, not a lot of people want to do the roots anymore because there's so many things to be done. I'm saying that I don't think the world really learned how to dance reggae as yet, the original reggae, so we need to play it some more for them! (laughs) I want to be one of the roots who stick around and play the music like Culture and Burning Spear, Bob and Peter and those guys used to play. That's how I want to do it, that's how I see it. There's a perception outside of Jamaica that the roots music that you play is not popular inside Jamaica, but your position in the charts suggests that's wrong. Yeah, that's wrong. If you make good music and you try to make the people hear it, then the people are going to accept it. I think the people are hungry for having something they can hold onto for a while and say "Yes, this is a good song". Everything doesn't have to be three months. I used to be a backing band musician, imagine; this artist has this song that I practise so much and I love to play it, in rehearsal we were like "Oh man yeah, let's do this song! ", if in three months the artist said to you "I'm not doing that song man, that's an old song". I don't want to make music like that, I want to make music that 15, 20 years from today I can still take up my guitar and play Overload and somebody will love it, you know? That's how I want to make it. Root music lives, man! The only thing that makes my blood pump and gives me those little goose-bumps, for real! It's roots. How did Rasta come to you yourself? Well, as a kid growing up, my parents they're Christian and I had to attend church every day. I used to carry the lamp and hang it in the church, I was the first one to be there and everything. But growing up I just loved being around Rasta so much, hearing Rasta talk. I love the cooking so much I just wanted to be around Rasta everyday and my mum always said to me "Why you always want to be around Rasta so much?" and I'm like "Mum, I just love what they say and I love the way they cook, and I think I'm going to be a Rasta" and she's like "No, you already have that vibe in you like you're a Rasta, you don't have to grow the hair to be a Rasta" and I'm like "Oh, I think I have to go all the way. 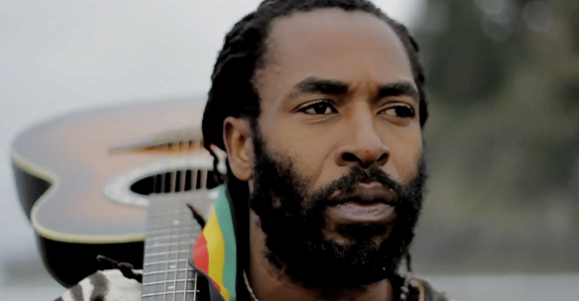 Face the same tribulations that all the Rasta before me faced, to know", you know? It's a life that I love. I believe Haile Selassie is the Almighty. I believe in repatriation. I believe in all of the Rasta belief and religion. 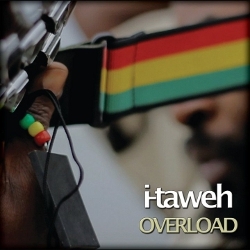 That's why I call myself I-Taweh because Bahetawe is the name that they call the Rasta in Ethiopia, in the hills. They call them Bahetawe. Some friends of mine who travelled to Africa and come back, every time they come back to Jamaica they always say "Hey, Bahetawe!" you know? So I kind of spell it a little bit different and call my name I-Taweh. It's a thing from birth, Ras starts from birth. What is within you is going to come out. If you light a fire and put it under the bed it going to burn the house down. Make it shine, you know? So what's next for you? What's the next project going to be? I'm working on the next album right now. I was just in the studio with Squidly Cole laying some tracks for me. I'm going down to do some more work with Horsemouth and my friend Sandra who played with Yellow Wall. It's going to be a total roots album. I'm confused in between if I need to make a double disc CD or something because I have so many acoustic songs and they're untouched, you know? I need to make the people hear them, so I'm thinking maybe I just do something on my guitar and shove it in with the CD. The next thing, I'm going to Jamaica in two weeks to do an album launch. I'm hoping this January coming I'll be doing an album promotion tour. We have this concert we've been doing with a vineyard over here called the Frey Vineyard. Tap Nat Musik and the Frey Vineyard present a show called the Beneficial Reggae which is growing. We're starting to think about the next event. Those are the main things we're thinking about.